As a rock star, you need to look the part. With rockin' new wheels, VIP Limo Service's Hard Rock stretch SUV limousine is set to take center stage for your special occasion. This one-of-a-kind, rock 'n' roll themed limousine features two seating areas, including a VIP section equipped with its own bar and flat-screen TV. VIP Limo Service is the premier limousine rental service in Fort Myers, Naples and all of Southwest Florida. We provide outstanding service and VIP red carpet treatment at reasonable prices. If you're looking to get the party started right, our exclusive Hard Rock SUV limousine is a chart-topping choice. Combining sophisticated styling and a quiet, refined, roomy interior, our new Cadillac Escalade ESV is the perfect limousine for transporting small groups to/from the airport or seaport or any special occasion. The well-appointed cabin features intricate wood inlays, premium leather, a Blu-Ray/DVD player, dual 9-inch screens and a Bose 16-speaker audio system. So check out our new ride, and don't forget to give us a call the next time you're looking for a VIP experience. You've been dreaming of your wedding day for a long time. You're busy planning every last detail, from the ceremony to the reception to the honeymoon. You want everything to be perfect. We know how important this day is for you, and we want to help make your dream come true. That's why we offer luxurious limousines, white glove service and red carpet treatment at an affordable price. And that's why we're the top rated wedding limousine rental service in Southwest Florida. To help make your wedding planning easier and save you money, we offer a 10% discount if you reserve your bachelor and/or bachelorette party and wedding transportation with us. 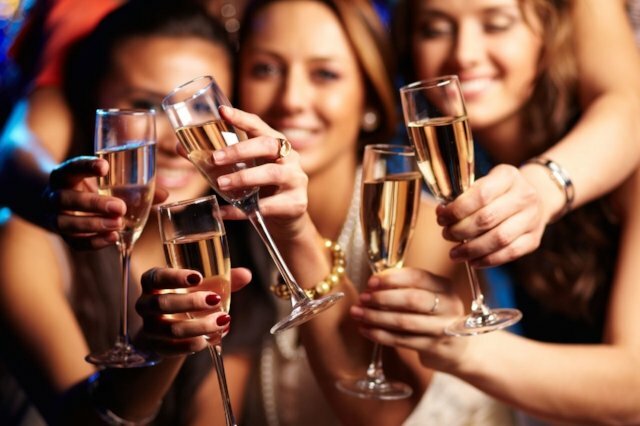 Thank you for considering VIP Limo Service to help you celebrate your bachelor and/or bachelorette party and be part of your amazing wedding day! We're very excited about our newest addition to the VIP Limo Service fleet—a Tiffany F550 limo bus. 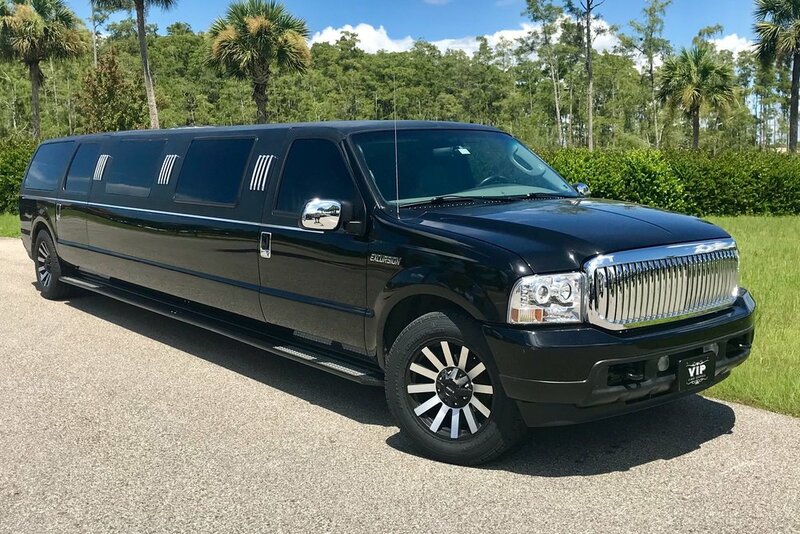 Whether your celebrating a bachelor(ette) party, attending prom, or traveling with a group to a concert, sporting event, airport or seaport, this mid-sized limo or party bus is a great choice for groups up to 30 people. Be sure to check out our new wheels.